Wants to know which is best analytics tool for blog? Hey guys, as we all know there are dozens of analytic tools or sites. These tools help us in showing visitors, page views, hits, etc on our site or blog. Among all, Google Analytic is more popular. But, do Google Analytics give us true page views or traffic on our sites? Do it records all clicks on our blog? The answer is ‘NO’. Point behind that is Google uses java-scripts to which is not compatible with all the users. Not all browsers are capable of using java-script, so data is not accurate. 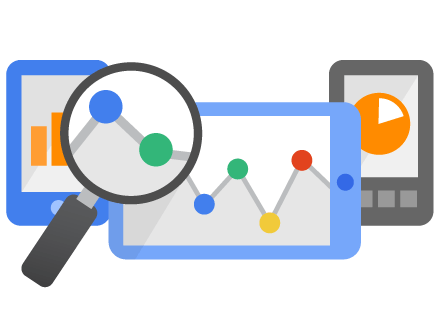 You will be shocked to know that Google Analytics slow-down you site due to two servers to respond – One of analytics & another of your site. Do you think it is good for search engines? No, Yahoo & Bing hate that code into head section of your site. There are hundreds of analytic plugin that are available on WordPress. But for exact number of page views, hits and unique visitors, there are only fer plugins. I was also not believing that analytics is not good. But when i searched my site on siteworthtraffic.com, i found that it is showing estimated traffic which is 3-4 times more than analytics or jetpack stats. I was shocked to see that result. After that, i searched for page view counter plugin for wordpress on google. Then i found traffic stats widget from there. I just installed that on my blog. After installing, i add the widget to my sidebar, which is still there. Now it shows me exact page views, unique, online-now along with last 24 hours, 7 days, and 30 days stats. It is more accurate and best analytics tool for WordPress. Give it a try guys! Similar to WordPress, there are various stat widgets available for Blogspot. But, the best analytics tool for blogger is the in-built stats. It is much more accurate and faster than any other page views counter. But if you also wants to show page views and traffic counter on your blog, then you can signup HERE and follow the simple steps. If you are satisfied or have any suggestion, then let us know in comments!